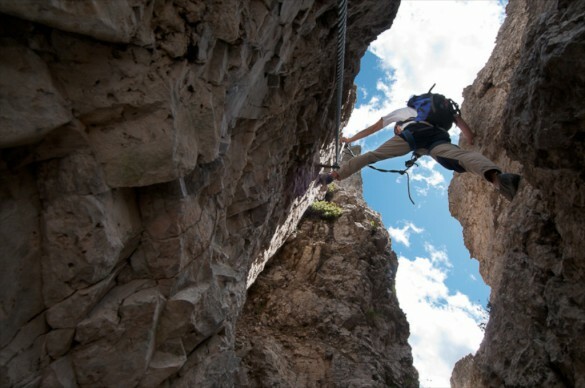 Our Dolomites multisport adventures feature a combination of exhilarating hiking, mountain and/or road biking, plus the chance to climb a via ferrata or rock climb, and more! 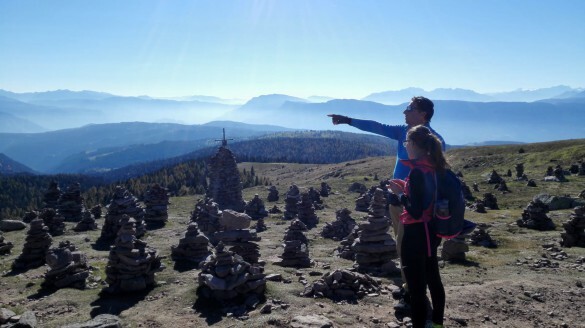 The Dolomite Mountains offer a variety of activities for every interest and activity level! There are so many things to do in the Dolomites, how on earth can you choose? Fortunately, you don’t have to! On our amazing Dolomite Mountains Multisport Trips, we offer a variety of activities for every interest and activity level. 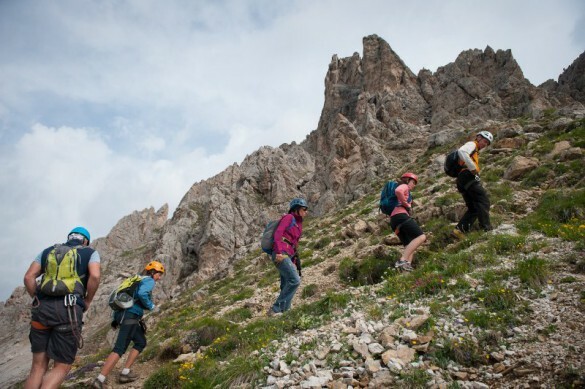 You can combine hiking, climbing via ferrata, and rock climbing… or just hiking and via ferrata… or hiking and mountain biking and/or road biking… or add canyoning or river rafting or horseriding to the mix… or, or, or… We can create an itinerary that includes any combination of sports that you can dream up – and we can tailor the trip activities as well as the individual difficulty levels to your interests and needs. In addition to being active in the stunning surroundings of the Dolomites, we include plenty of time to explore the local culture and cuisine, allowing for an in-depth understanding of the area. What’s more, on these multisport itineraries, we visit the same incredible areas we explore on our other trips, but from a variety of perspectives – up, down, and across – all on one trip! Of course… you can be certain that throughout your active adventure, you’ll experience the beauty of this incredible range of mountains, and take advantage of the very best the Dolomites has to offer. Popular Locations: Alta Badia, Cortina d’Ampezzo, Lake Garda, and more! Discover the lesser known areas of Bolzano and its surroundings. 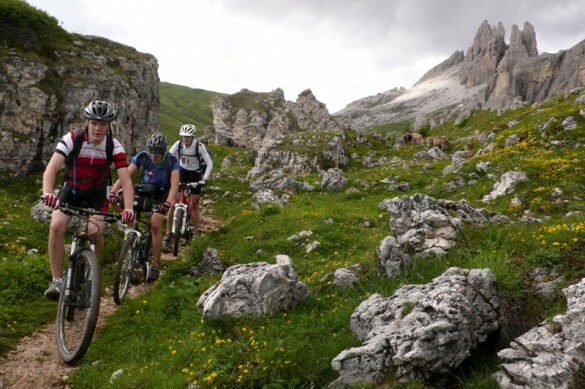 Hike and Bike on the Sudtirol Wine Route, the Renon and Salto High Plateaus on this multi-activity trip, combining sport, leisure and culture! 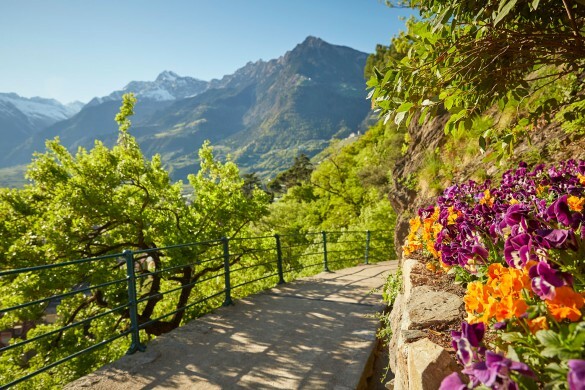 Explore two of the most beautiful areas of Northern Italy, Merano in Val Venosta and Italy’s largest lake, Lake Garda. Immerse yourself in a world of culture, history, charming Medieval villages, vineyards, apple plantations, olive & lemon groves, a truly unforgettable experience of Italy’s finest authenticity. 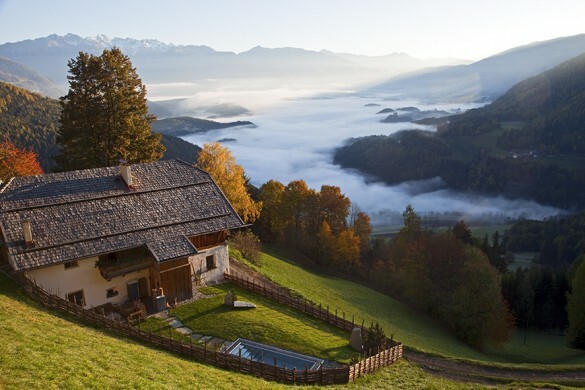 Always wanted to vacation in luxury at your own private chalet? Now’s your chance! 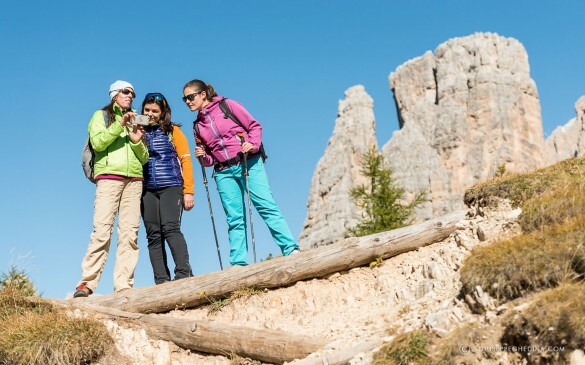 Our multisport adventure offers the best of the Dolomites – hiking incredible mountain trails with magical vistas, climbing via ferrata from WWI, learning to cook with a gourmet chef, whitewater rafting, star gazing, and even helicopter rides! 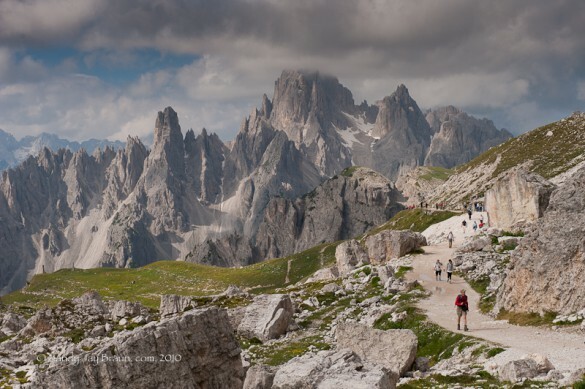 Hike, bike, and climb in Dolomites mountain chic style on this 7-day summer vacation packed full of activities – adventure, exhilaration, relaxation and bliss all in one amazing trip! Enjoy a week of romance as you hike, climb via ferrata, and enjoy rifugio stays in the Dolomites! Each day is an opportunity for active adventures with your partner. Hike hut-to-hut through the Dolomites, across plateaus and passes as you explore Puez Odle and Fanes-Sennes-Braies Natural Parks. Move to a new rifugio each day, explore WWI artifacts along the trails, and challenge yourself on exciting via ferrata! Explore the Dolomites on this self guided / guided combination itinerary! Spend an incredible week of hiking on your own through one of the most beautiful mountain landscapes in the world, with two days of guided via ferrata climbing where you’ll ascend the magnificent walls of this UNESCO World Heritage Site!